Everyone knows the French have it down to a discreet T when it comes to effortless beauty. Everyone doesn't know how much effort actually goes into looking that effortless. Over the years, we have done loads of research upon this fascination of the effortless and the French look; they all have "it," aka "Je Ne Sais Quoi." 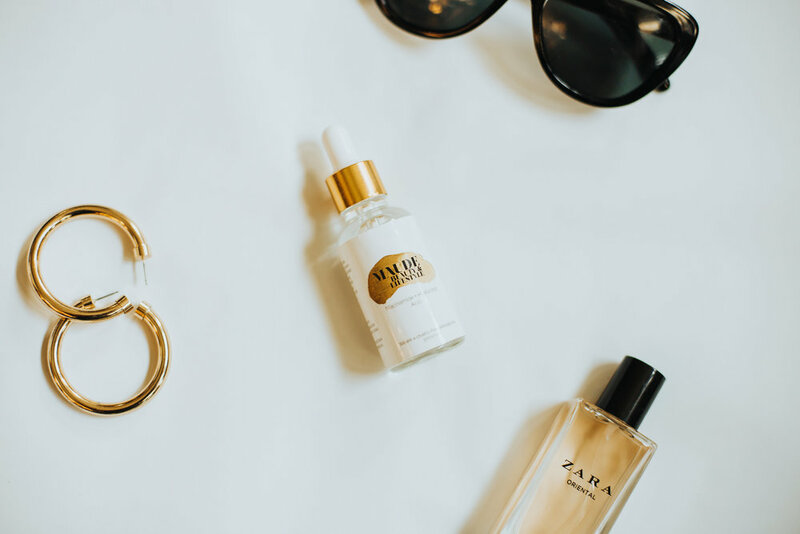 We've gathered the top French Pharmacy staples you should keep in your medicine cabinet, car, desk, and bedside table; all tried and true. Boiron - Homeoplasmine: this was one of the first French beauty products I was ever introduced to. It's a fairly thick ointment great for winter's dry lips, or intensely dried eyes. Editor's Note: do not put this on your face other than around your eyes and lips, unless you have no possible way of getting acne. This is similar to Vaseline. NUXE Huile Prodigieuse Multi Usage Dry Oil: this luscious oil is one of the most popular body products from France. It has made it's way to the United States and is on every beauty editor's list. This oil is full of vitamin E and several plant oils, giving your skin the maximum moisture it needs. Put this on right after your shower for the smoothest skin all day. SISLEY Paris - Masque Eclat Express: I am a sucker for all things brightening, and this masque goes beyond that. The mask is made with red clay, which absorbs any excess dirt or oil all while nourishing your skin with essential oils. I love this masque because it doesn't try skin, yet it really gets into your pores and cleanses them. Bioderma Crealine H20: this is a product I am never without. I keep one in my car, at my desk, in my purse, pretty much everywhere. Taking of your makeup is the number one thing you can do for healthy, clear, and young skin. If you sleep in your makeup, you are potentially clogging your pores and causing premature aging. This stuff requires no water, simply wipe on your skin with a cotton pad, and it truly gets everything off. Embryolisse Lait Creme Concentre: for those of us with dry skin, this is your winter-skin saver. It's full of antioxidants and vitamins, so it gives your parched skin all the nutrients it needs. It's essentially a tall glass of lemon water for your skin. Caudalie Beauty Elixir: I only recently stumbled upon this French staple, but it's safe to say it's here to stay. This spray is something of a legend, used by celebrities up and down the red carpet, all while being very affordable. It tones, tightens, boosts, and smooths! Bonus: it smells like an expensive spa you only dream of going to. La Roche-Posay Anthelios Mineral Sunscreen SPF 50: every French women knows prevention is the key to looking amazing with each passing year. Sunscreen is essential in preventing premature aging, as well as keeping our skin safe from the sun's harmful rays. This is the lightest sunscreen out there. Klorane Dry Shampoo with Oat Milk: the age-old myth that French women do not shower comes true in this bottle. It will save your days for when you just couldn't find time to shower, which embarrassingly happens more than you'd like to admit. It's light, soft, and smells like fresh oatmeal. Plus, it's vegan. Do you have any French pharmacy beauty staples you love? Share below!